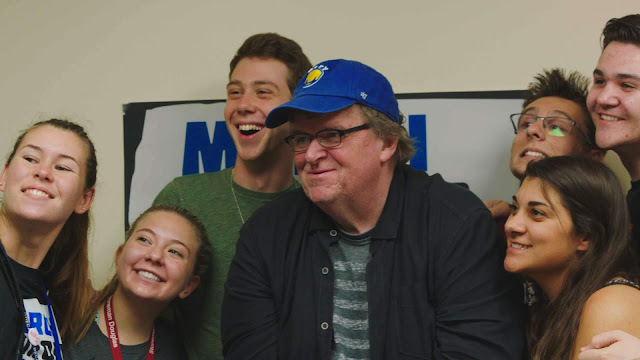 Behind The Scenes: Movie Review Micheal Moore's Fahrenheit 11/9--In Theaters Now! 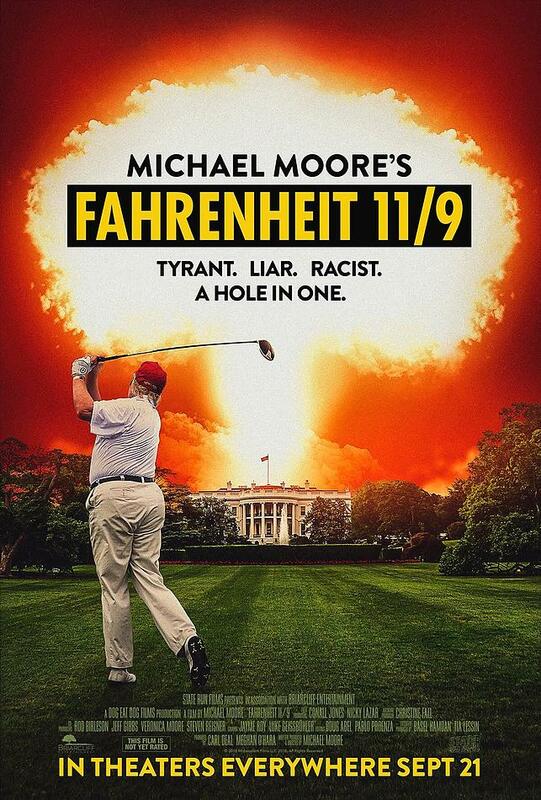 Movie Review Micheal Moore's Fahrenheit 11/9--In Theaters Now! I was sent a press link of the film that I am reviewing , I did not watch it illegally. Ever since I first saw Roger & Me in the theaters this man Micheal Moore has always made some interesting documentaries. 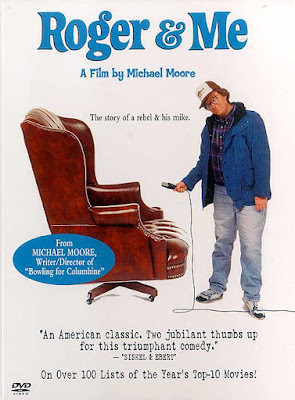 He is the voice of the people that don't really seem to have a voice as in many of his films he shows us the ordinary person caught in the middle of some political agenda or red tape etc. Here we have his views on many things wrong with the USA, trust me they are not pretty but we meet some of the historical young people that took on the NRA and many politicians as well, after they and many other children from the USA have been affected by the many number of school shootings. 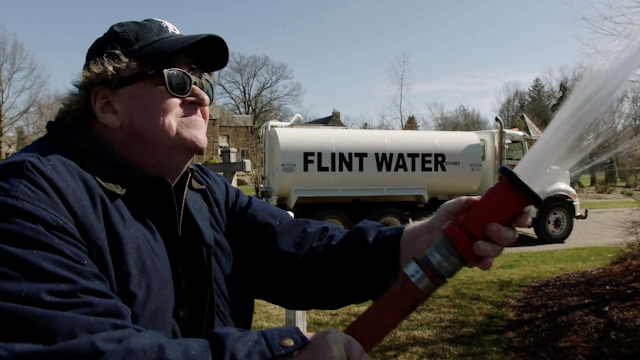 Something that is so very personal for Micheal is the state of his home town of Flint, Michigan --the people are getting sick from the water and it's amazing and tragic as to how many people knew and did nothing and there is still being done. From a health nurse trying to make good now (a little late in my opinion)also the former President Barak Obama--astounding to see the footage of him mocking the people of Flint, shame on him. The poster for this film tells us that this will be about the current President and the undoing of the USA, however the picture he paints here is not one of all President's Trumps doing by himself-there was already some loose cracks in the structure. But he makes reference more than once of his similarities to that of Adolf Hitler, for me that is just a cheap way to make it clear why he does not care for the man. For me he basically got into office because of who he was much prior to his ever making a comment of trying to become President of The United States. Micheal Moore seems tired in the close ups we see of him, no longer a man of passion but he seems to have lost his drive. The focus of the film shifts from President Trump , Flints water crisis , the children vs the NRA , we loose interest about half way through. I am sorry but I have enjoyed his previous films, this one not so much , I feel he did not put his best effort in this film.